Our dependence on energy resources to maintain life, combined with the evolution of technologies and increased urbanization have led to a significant rise in the demand for energy. This sharply growing energy need has made energy security a prominent concern. As a result, the world today is facing several challenges. By having an in-depth understanding of these global challenges and their solutions, IPTEC can best fulfill its mission. Energy production, distribution, and use negatively impact the environment. Our current energy systems’ reliance on burning fossil fuels means more greenhouse gas emissions including pollutants and Carbone Dioxide (CO2). These emissions not only cause air pollution but substantially accelerate global warming, contributing to climate change. Global climate change is a real risk to human health and ecosystems and has become the world’s leading environmental problem. Another issue is that leaking underground storage tanks containing petroleum products and accidents such as oil spills can significantly pollute the soil, fresh water resources, and the sea. Energy conservation entails reducing energy consumption. It can be achieved through efficient energy use, in conjunction with reduced consumption from conventional energy sources. Energy conservation has been receiving increased attention all over the world in recent years. A key factor behind this is governments’ pledging to reduce carbon emissions. Energy efficiency involves techniques that reduce the amount of energy used to complete a task. A wide range of energy efficient technologies are already available that help conserve energy. By reducing energy consumption, we generate less greenhouse gas emissions and consequently contribute to the reduction of air pollution. Fossil fuels are non-renewable sources of hydrocarbons that are extracted from the earth as liquids, gases, and solids. They cannot be replenished in a short period of time. Fossil fuels include primarily coal, fuel oil, and natural gas. At the moment, they generate over 85% of the global energy demand. Fossil fuels are mainly used to power the transportation, manufacturing, residential heating, and electric-power generation industries. This consumption has set fossil fuels on the road to depletion. Because energy resources are important to residents, businesses, developers, and institutions, it is vital to find solutions that can satisfy increasing energy needs and address the depletion of conventional fossil fuels. This means the world cannot move towards sustainable growth without radical changes in the way it generates and uses energy. Renewable energy is derived from natural sources that are prevalent almost anywhere in the world and are constantly replenished. Renewable energy includes sunlight, wind, tides, plant growth, and geothermal heat. In 2010, 16% of global final energy consumption came from renewable energy sources. By early 2011, at least 119 countries had a policy supporting renewable energy at the national level (up from 55 countries in early 2005). The rapid deployment of renewable energy and the diversification of energy sources can result in momentous energy security since it would reduce our dependence on non-renewable fossil fuels. The adoption of renewable energy solutions also reduces CO2 and greenhouse gas (GHG) emissions from burning fossil fuels, thus reducing air pollution and slowing the process of climate change. 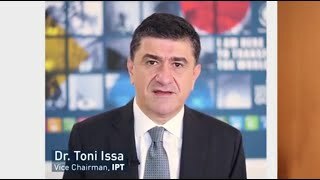 At IPTEC we understand that the energy sector in Lebanon plays a vital role in the development of the country but that there are certain local obstacles. With the exception of a modest amount of hydropower and traditional energy (wood and charcoal), all the energy in Lebanon is derived from imported petroleum products. And yet Lebanon’s geographic location makes it ideal for solar and wind energies. Other possible types of renewable energy include hydro and biomass resources, but they are still not widely used. 1994: Lebanon ratified the UN Climate Change Convention. 2006: Lebanon ratified the Kyoto Protocol in May. In light of this, the Ministry of Energy and Water (MoEW) launched development projects that promote energy efficiency and renewable energy sources, including: 1- The national campaign to ban the use of incandescent lamps and promote the use of efficient lighting (CFL), 2- The national campaign to promote the use of solar water heaters. 2009: At the Copenhagen Climate Summit, Lebanon assured to increase the renewable energy share to 12% by 2020. This commitment was anchored within the “Policy Paper for the Electricity Sector” prepared by the Ministry of Energy and Water (MoEW) and officially adopted by the Council of Ministers in June 2010. 2010: The Central Bank of Lebanon (BDL) in collaboration with the Ministry of Energy and Water (MoEW), the Ministry of Finance (MoF), the United Nations Development Programme (UNDP), the European Union (EU), and the Lebanese Center for Energy Conservation (LCEC), launched the National Energy Efficiency and Renewable Energy Action (NEEREA) which is a national financing mechanism that finances solar, wind, biomass and hydro projects in addition to energy efficiency measures and green building projects. 2011: The LCEC developed the First National Energy Efficiency Action Plan (NEEAP) 2011-2015 which was adopted by the Ministry of Energy and Water in August 2010 and approved by the Lebanese Government in November 2011. NEEAP summarizes all national objectives, programmes and policies and includes different initiatives to achieve the target of 12% renewable energy by 2020. In this context, the MoEW in collaboration with the LCEC installed the 1st pilot project in Lebanon to produce electricity from solar energy across the 325-meters of the Beirut river: the Beirut River Solar Snake (BRSS). A second initiative was the necessity of adopting the Energy Conservation Law. A draft of the “Energy Conservation Law” was approved by the Ministry of Energy and Water and sent to the Council of Ministers. 2014: The LCEC supported the design and implementation of the National Strategy for Efficient and Economic Public Street Lighting in Lebanon with the objective to provide the Lebanese streets with a safe and energy efficient lighting with intelligent control and maintenance procedure. In this respect, the Lebanese Government dedicated $0.5 Million to the project to replace and install photosensors in the various street lighting systems in order to illuminate the roads when needed. 2015: Lebanon endorsed the decisions of the United Nations Climate Change Conference held in Paris in 2015. 2016: The LCEC developed the Second National Energy Efficiency Action Plan for the republic of Lebanon, NEEAP 2016-2020, which builds on the initiatives proposed in the first NEEAP 2011-2015. The implementation of the NEEAP 2016-2020 would need a period of 5 years, creating a huge positive market momentum. 2017: The Council of Ministers approved the production of wind power through the establishment of wind farms in Lebanon to generate electricity. Despite the efforts to date, energy conservation and renewable energy solutions are still not wide spread in Lebanon. Lebanon has a high potential to increase energy efficiency in different sectors and to implement renewable energy solutions without hampering productivity and economic growth. But there are barriers. A supportive political environment coupled with a lack of adequate institutional support, laws, regulations, and a comprehensive national strategy. For example, the lack of a supportive legal framework for energy auditing and energy consumption is a major barrier encountered in implementing energy efficient or renewable energy projects. Awareness campaigns, capacity-building programs, and the sociocultural barrier caused by this. The limited public awareness on energy efficient and renewable energy technologies and their advantages, and the lack of awareness on environmental impact of non-renewable energy sources are considered as major challenges facing the sustainable development in Lebanon. Unified data that can be used to implement measures, policies, strategies, action plans, etc… related to energy efficiency, renewable energy solutions and energy-related pollution reduction. The absence of integrated information sets represents a real challenge and requires intensive efforts among the different stakeholders. Technical expertise and specialized experience in energy efficiency and renewable energy. Although some lessons could be learned from other countries experiences, there is a crucial need to enhance local technical expertise in new technologies. Financial resources and funding on both individual and national levels. On an individual level, the high initial price and lack of suitable support mechanisms (financial and fiscal incentives) make renewable energy or energy efficient technologies economically unattractive for consumers. On a national level, the priority of funding is given to projects dealing with more pressing or short term developmental needs without adequately addressing the long term sustainable development requirements in different sectors. Lebanon currently imports all of its energy needs. Studies reveal that there are 31 possible sites containing oil and gas reservoirs in Lebanese territorial waters. Geological studies along with analysis of 2D and 3D seismic surveys (that covered the entire offshore and parts of the onshore) demonstrate the prospectiveness of Lebanon’s offshore and increase the likelihood of finding petroleum resources. The studies model the presence of gas, condensate and oil. As for Lebanese territorial waters, 10 blocks have been identified within Lebanon’s Exclusive Economic Zone (EEZ). Their total area is 21,500 km2 in addition to a buffer zone along the coast with an area of 1,200 km2 where petroleum activities are not allowed. The area of the maritime waters subject to the Lebanese State jurisdiction is 22,700 km2. IPTEC is carefully following developments related to this and is here to provide professional assistance when needed. In August 2010, the Lebanese parliament unanimously approved Law No.132/2010 on offshore oil and gas. This law paves the way for the exploration of major natural oil and gas reserves off Lebanon’s Mediterranean coast and lays the foundations for production to begin at a later stage. The Lebanese Petroleum Administration (LPA) was created to oversee the oil and gas sector and to draft a series of laws, known as the Petroleum Activities Regulations. The LPA is the regulatory and technical body governing the prospective petroleum sector in Lebanon. There are 6 departments at the LPA, namely: Strategic Planning Department, Technical and Engineering Department, Geology and Geophysics Department, Legal Affairs Department, Economic and Financial Department and Quality Health Safety and Environment (QHSE) Department. Some of the LPA’s responsibilities are: planning and policy advice, promoting the Lebanese petroleum potential, managing the data associated with the petroleum activities, managing licensing rounds, managing, monitoring and supervising petroleum activities, planning for field development, petroleum transportation, decommissioning, and removal of facilities, and preparing regulations and guidelines. Before extraction can begin, it is essential to assess the environmental and strategic impact on Lebanon’s offshore waters. It is also crucial to create laws that divide these waters into blocks before exploration activities can start. In 2012 was launched the first pre-qualification round, and in 2013, 46 companies were pre-qualified as Right Holders (operators and non-operators). 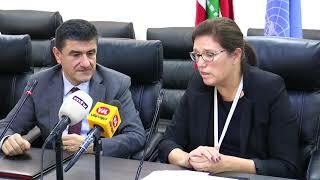 In 2017, the two decrees necessary for the completion of the first licensing round, Blocks Delineation decree and decree 43, were approved by the Lebanese Council of Ministers, which also approved the awards of two exclusive petroleum licenses for exploration and production in blocks 4 and 9 for the consortium composed of Total S.A, Eni International BV and JSC Novatek. The contracts with the three companies were signed in early 2018. Upon the signature of the Exploration and Production Agreement (EPA) -the contract between the State and the consortium- the companies, or Right Holders, will have the right to explore for, develop and produce oil and gas reservoirs offshore in Lebanon’s Exclusive Economic Zone. They will also have to comply with all of the requirements of the OPR Law and the PAR, as well as all other Lebanese laws. The exploration phase is five years, divided into a first period of three years, and a second period of two years, and can be extended up to ten years with the Cabinet’s approval. Upon discovery, they must assess profitability and propose a development production plan also for the Cabinet’s approval. Further to the approval, the Right Holders will produce oil and gas for a 25-year Production Phase, extendable for five years. What is the Importance of Exploring Oil and Gas in Lebanon? Lebanon engaging in the exploration of oil and gas and becoming a petroleum producing and exporting country is an incredibly historic and vital opportunity given its adequate geographic location. If exploited correctly, these energy sources would contribute to alleviating electricity shortages and support the recovery of industrial competitiveness as well as social and economic growth and stability today and long into the future.